Should Men Only Have Restricted Access To Maternity Wards? After JJ was born earlier this month we had to have an extended stay in hospital. Due to his early gestation he had a few medical issues that meant he needed some treatment before he was ready to leave. This, as well as the 3 days I spent on the ward prior to his birth, means I would now consider myself very experienced in hospital stays! I knew the staff by name, knew when the meals were coming and what to order and how to get things done. One aspect of my stay did make me particularly uncomfortable though, and that was the men on the ward. 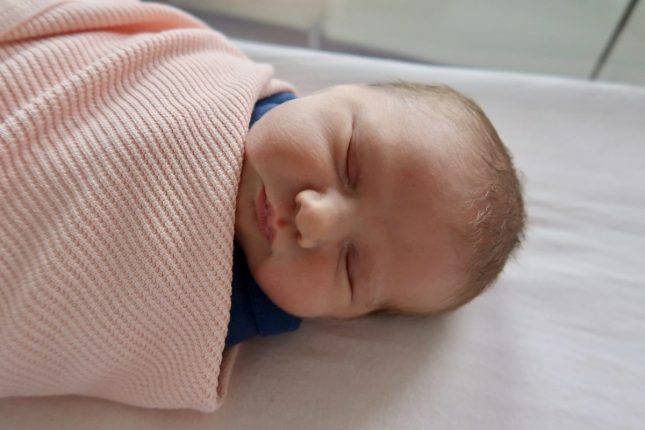 There were a few instances that were downright bizarre and it got me wondering – should men’s access to maternity wards be restricted? When I had Piglet 2 years ago there were restricted visiting times. Fathers could visit from 9am to 9pm, and other guests were welcome from 1pm to 8pm. This actually worked really well for us. It meant that JHogg could come in and join me after breakfast and spend the day with us. At night when we were getting ready for bed he, and all the other men, were gone. It was nice and quiet….. or as quiet as it can be in a ward full of newborns! I was quite surprised to find that things had changed this time. They now operate an open visitation policy, where all guests are welcome at any time. 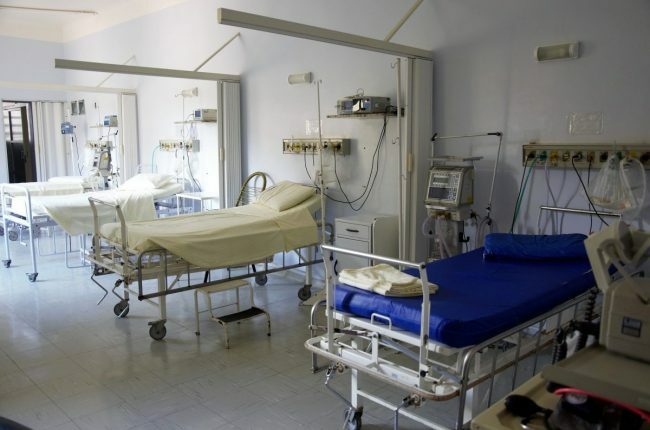 A number of guidelines were specified, such as if you are staying out with “normal” daytime hours you are to stay within the cubicle of the mother you are visiting, voices are to be kept down, remain fully clothed and that the beds are for patients only. 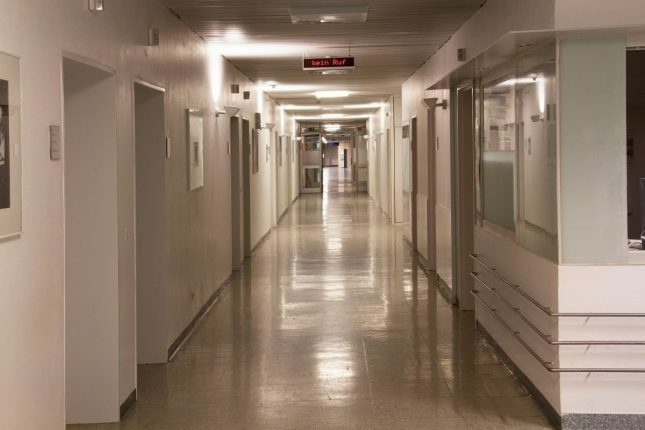 It was also made very clear that the toilets on the ward were for patients only due to hygiene reasons, and that visitor toilets were available at the end of the corridor. At first this seemed fairly reasonable. The large majority of guests visited around the previous visiting hours and I didn’t find it overly intrusive. However, there is always one who spoils it for everyone else isn’t there? One couple arrived mid afternoon. Their presence was immediately known to everyone else – they weren’t big on keeping the noise down. The gentleman in question was soon moaning about not being allowed to use the showers on the ward (they had been on labour ward for 3 days so he wanted a wash). He didn’t take kindly to being told that he could go home for a shower – apparently that was a ridiculous concept. As the day turned in to evening and then in to night it became clear that he wasn’t planning on leaving. I, and the rest of the ward, were subjected to him walking about without his t-shirt on, singing, snoring VERY loudly and talking all night long. The midwives did their best to ask him to be quiet but clearly he has no intention of piping down. Now as I was about 4 days postpartum at this point I was feeling ok. I was up and about and back to feeling a bit more “normal”. However, I’m not sure how I would have been feeling about it immediately after giving birth – especially if I’d had a c-section and perhaps wasn’t up and about properly yet. Having men strolling around the ward when you are feeling vulnerable would not have been very pleasant, in fact I think it could have been down right uncomfortable. I was very conscious of how it must be affecting his partner to have him there 24/7. It was very clear that he was sleeping on the bed, during the day he was often on it and she was sat awkwardly in the chair. In the days following labour comfort is key and I don’t think having him around constantly in such a confined space will have aided her recovery. After they were discharged 2 days later we had a bit of a laugh about it with the midwives. It was vaguely funny as an afterthought – but obviously wasn’t at the time. They explained that the new visitation rules put them in a really awkward position. In an ideal world they would have been able to ask him to leave to give everyone else some peace, but they are not allowed. They were already short staffed and having to constantly tell him to please be quiet, or speak to him in general simply added to their workload unnecessarily. I also wondered about those women who are part of a religion where it is not appropriate for them to be with another man without their husband or a family member present. Its not always possible to get a private room – 10 days on a ward with 5 other women means I’m very aware of that! For me – I think the way visiting hours worked before worked better. Men were around most of the time, but the mothers were left alone with their babies to get some rest overnight. Of course there are extenuating circumstances, such as immediately after a c-section or if your baby is delivered in the middle of the night. But in general I didn’t really like the new visitation guidelines. 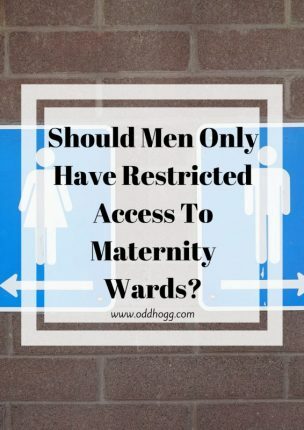 I was curious as to whether I was alone in my thoughts so I asked a few friends – should men only have restricted access to maternity wards? 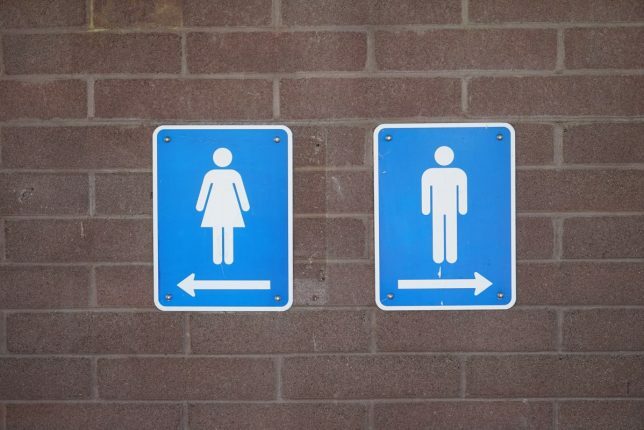 It seems that although many of us would like the option to have our partner with us at all times, we are conscious of the facilities and set up of NHS hospitals and know that it’s impractical to do it while still respecting the privacy of others. I’d love to think that in the future all maternity hospitals will have private rooms for all the patients, but we all know that is unrealistic. For now I’ll just have to be thankfully that I won’t be a patient in a maternity hospital again! So You’ve Got A Toddler….